terium, Acetobacterium, Peptostreptococcus, and other Gram positive anaerobic rods and cocci. Acetogens rely on the acetogenesis pathway, in which energy is derived from other sources and CO2 merely serves as the electron acceptor. The latter becomes reduced to acetic acid under strict anaerobic conditions. In contrast, in the ethanol oxidation pathway, acetic acid bacteria actually use the electrons from ethanol, with oxygen serving as the electron acceptor. Thus the same product is formed, but for two totally different biochemical reasons. The acetic acid bacteria are represented by four genera: Aceto-bacter, Gluconobacter, Gluconoacetobacter, and Acidomonas (a fifth genus, Asaia, has recently been described, but oxidizes ethanol weakly or not at all). These genera belong to the Phylum Proteobacteria and the family Acetobacteraceae. The phylogeny of these and related bacteria is illustrated in Figure 11-1.Acetic acid bacteria are Gram negative, obligate aerobes, motile or non-motile, and have an ellipsoidal to rod-like shape that appear singly, in pairs or in chains.They have a G+C base composition of 53% to 66%. Acetic acid bacteria are widely distributed in plant materials rich in sugars, such as fruits and nectars. They are also common inhabitants of alcohol-containing solutions, including wine, beer, hard cider, and other ethanolic beverages. Not surprisingly, acetic acid bacteria often share habits with ethanol-producing yeasts. Although some acetic acid bacteria, notably Acetobacter, are more efficient at oxidizing ethanol, rather than glucose, to acetic acid, Glu-conobacter oxidizes and grows especially well on glucose compared to ethanol. Gluconoacetobacter europaeus (formerly Ace-tobacter europaeus), Gluconacetobacter xyli-nus (formerly Acetobacter xylinus), and Gluconobacter oxydans (Table 11-1). 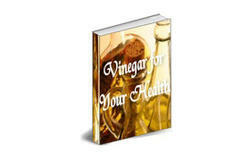 Many vinegar fermentations are conducted using mixed or wild cultures, accounting for the large number of strains isolated from different production facilities. For example, Gluconobacter entanii was the predominant organism isolated from a single high-acid vinegar production facility in Germany, and A. pas-teurianus was identified as the main species involved in production of rice wine vinegars produced in Japan. In Germany, A. europaeus is now considered to be the most common organism isolated from vinegar factories that use submerged-type fermentation processes (see below). It seems clear, therefore, that no single species can be considered to be solely responsible for the vinegar fermentation. Although all species of Acetobacter and Gluconobacter produce acetic acid from ethanol, they differ, metabolically, in several respects (Table 11-2). First, whereas Acetobac-ter can, under certain conditions, completely oxidize ethanol to CO2, metabolism of ethanol by Gluconobacter stops at acetic acid (discussed below). In contrast, oxidative metabolism of glucose and other sugars is much greater in Gluconobacter compared to Acetobacter, which produces little acid from sugars. Finally, these organisms can be distinguished on the basis of the quinone co-factor systems used as electron acceptors (see below) during the ethanol oxidation reactions, because Glu-conobacter possesses a G10 type quinone system and Acetobacter has a Q9 system.